Jesus was anything but the mild-mannered, soft-spoken, almost wimpy character the exoteric church has described to us. He had charisma, personality, he was human with emotions like anger, frustration, grief. The Gospel of Mark is the best of the four New Testament portrayals of Jesus’ personality. Tradition says it was written by John-Mark, a child student of Jesus and son of the widow Mary of Jerusalem, also a student in Jesus’ mystery school. John-Mark grew up and travelled with Paul to Rome and later wrote the book of Mark. the Evidence, by Ian Wilson. Wilson uses Scriptures, noncanonical writings, and research from a variety of disciplines to penetrate pious mythology and historical distortions. To committed Christians, this book offers a fascinating new perspective on their beliefs. To the skeptic, it provides a convincing explanation of why the beliefs centered on this one man have proven so powerful and pervasive. For more about the real Yeshua right now, please continue reading the articles below. In Greek, the main language of the early Christians, Church of the Way is written: Eklisia ton Tropon. founded Christianity, almost making it up as he went along. But Yeshua did found a Mystery School and Church of the Way. He had students, they had rituals, he taught them techniques, prayers and rites. It was probably less like a religion, a church, than a way of life. And what would it be called, if not the Church of the Way? It is interesting to note, that the Chinese Tao also means The Way, and is a religion of balance with its famous black and white yin-yang symbol. 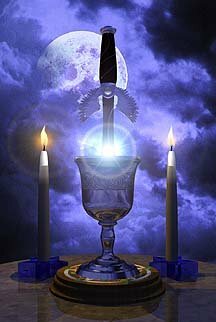 Yeshua was a rebel sage, a Master of secret teachings in the ancient mystery school tradition. In the New Testament he repeatedly tells his students, “these things I tell you in private, are not for the masses, they would hear but not understand.” He alludes to a hidden core of knowledge, a secret underlying current running deep below the surface of mainstream religion. You get the sense that the churches and ceremonies we attend today, the prayers and spell-songs we sing only touch the very tip of the iceberg. The Church of the Way is the inner core of teachings dispensed by the Esoteric Mystery School. Our Kristian Adepts and Mages consider themselves followers of Yeshua’s true Way. This is their Church, the Church of Yeshua and Mary Magdalene, co-saviors who came as God and Goddess to straighten us out again. God and Goddess occasionally take the flesh, whenever things go too far astray. Krishna, the Christ-like god of India says in the Gita (India’s Bible written around 1500BC), “In every age I come back.” He/She comes back whenever things get too rough here on earth. And I shall instruct them about the coming end of the realm. And in which our appearance shall change. by which all things, seen and unseen, came into being. *I believe in Mary Theotokos, God-Bearer, who was the Divine Mother Incarnate. working in all worlds of matter, mind, and spirit. to prepare Him for His death, descent into Hell and Resurrection. to gnosis, to balance and union with our Source. *I acknowledge their continued presence among us. back into kinship with the Creative Godhead. Please feel free to join us this coming Sunday in this, our cyber Church of the Way. If you really want to participate fully in the Mysteries you might want to join our Mystery School. 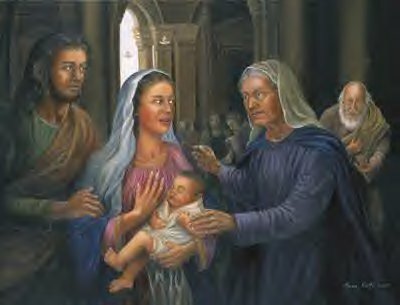 During the first phase of membership you will take 5 Catechumen lessons which will explain all about the original Church of the Way and how you can join with us in honoring the Sacred Repast (Meal) and furthering your own kinship with the Divine Family: God the Father, God the Mother, God the Sacred Son and the Bride of Christ, the Holy Daughter. Alabaster Jar and Holy Blood Holy Grail in our Bookshoppe). Galilee, where both Mary Magdalene and Yeshua were from, was called “Galilee of the Gentiles,” because it was had recently been converted to the Jewish religion. It is important to note that Galileans were all practicing Jews, but most were probably of different races indigenous to the Holy Lands, such as Syrian, Persian or Sumerian. Father Abraham, founder of the Hebrew people, was originally a Sumerian. He came, you recall, from Ur a city near Babylon whose ruins have been found. 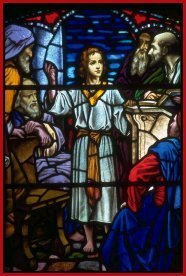 The Gospel of Matthew attempts to put Jesus in the line of David in order to validate his messiahship in the eyes of the Jewish people. But we can see this lineage is in doubt and the other gospels don’t help much. However, Yeshua did come in the spirit of David, from the Lion of Judah. He was called the Lamb, yet he came as the Lion of Judah. These are all deep archetypal symbols with special meaning, perhaps it is not vital that Yeshua be a literal descendant of King David. What’s important is that the people of Jerusalem believed he was David’s descendant, and so did Rome. This is why Rome executed him for treason, and a sign, “King of the Jews” was put above his head. Roman historical records also show Jesus’ “family” or “relatives” — a brother and two sons — were later interviewed in Rome to make sure they weren’t a legitimate threat to the throne. The Roman record says they were found by Tiberius’ investigators to be nothing more than “peasants” and were sent on their way. Tradition is they were on their way to Europe to re-settle, most likely in one of the French southern coastal towns known for large populations of Jewish settlers. Perhaps they fooled the Roman investigators into thinking they were harmless peasants out of a desire to avoid detention and execution. 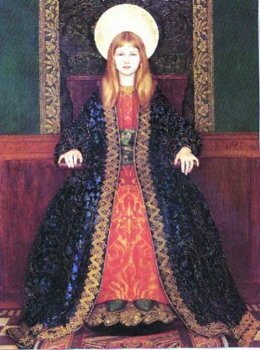 If Yeshua or Mary Magdalene were of Jewish Royal blood, could they have quested to restore the House of David into power, or did their followers have this ambition for them? Perhaps they did have a political agenda alongside their worldshaking religious one because it was for political reasons Jesus was killed. The Romans labeled him “King of the Jews,” and executed him for treason. Luckily he got the last word in… the Word. —by Rev. Jason Collins and +Katia Romanoff, 1999. Gods). For the first three centuries, many of the Early Christians celebrated his birthday on January 7. Yet his original birthday has been claimed to be somewhere around the Spring Equinox, in the range of March 20-March 25th. Yeshua said he was the Aleph and the Tau, the Beginning and the End, which would be consistent with a birthday on the cusp of Pisces and Aries. Note the symbolism of the Pisces fish and the Aries sacrificial ram. Also, since the inaccuracy in the calender, any of these days between the 20th and the 25th could be correct. According to the Roman Catholic Church, and some other documents, the exact date was the 25th of March, which made it easier to change to the 25th of December. Yeshua, a variant of Joshua, is the Hebrew name for Jesus, and is the true way his name was spoken. “Jesus” is the warped English pronunciation of the Greek word “Iesous.” And “Jesus Christ,” is a Greek phrase, coined by Paul. To say Yeshua’s name the way his friends, family and students would have spoken it, would be “Yeshua haMoshiach.” Pronounced Ye-SHU-ah ha Mah-SHEE-ock. It means Yeshua the Messiah, or the literal translation: Yeshua the Anointed One. But since he didn’t go about bragging that he was the Messiah, he might have gone by Yeshua the Teacher or Master Yeshua (Rabbi or Rabboni). Adonis and Dumuzi were both Middle Eastern fertility gods that died every year during Spring planting season in order to fertilize the crops for the “salvation of all.” Adonis’ death was mourned in a special cave shrine in Bethlehem where legends also said he was born. The early Christian church fathers, said we can’t have this! We must get these pagans out of that cave—it’s also the spot where Jesus was born. One church father wrote: “In the cave where our lord was born, women weep for Venus’ dead lover!” And so the pagans were kicked out eventually and the famous church of the Nativity got built on the spot, and still stands today. You can go down into the small cave portion and sit or stand. Wow, it does seem like you’re in a cocoon within the earth. You feel the awe of the ancient pilgrims, those that came for Jesus , Dumuzi and for Adonis. Mingled with your own awe and the sense of the sacred it makes a powerful experience. When I was there we were the only ones in the cave-room until a small group of Orthodox priests came in. They did a little ritual and chanted several prayersongs while we quietly watched. Dumuzi or Tammuz, whose worship is mentioned in the Old Testament, was ritually resurrected each Spring after a three day descent into hell. He was buried each year in a garden tomb. A priestess, representing his wife, would go alone to the garden tomb and find it empty, just as the legend said his wife Inanna, Queen of Heaven and Earth had done when Dumuzi died and was resurrected the first time. In exactly the same manner, Mary Magdalene, now believed to have been Jesus’ wife goes alone to the tomb–in a garden–and finds it empty. Yes, the similarities are striking, there is no doubt about it. Yeshua filled the role of that ancient archetype, the Shepherd King. He was fulfilling a lot more than just Old Testament Hebrew prophecies. He was embodying the entire Mediterranean mythos. Even Egypt has a dying and resurrecting god—Osiris—with a loyal nurturing mother goddess Isis, all connected to the annual cycle of fertility and renewal of the spring flooding of the Nile. Hercules was born of a heavenly sky-god (Zeus) and a mortal woman. His official title was “Prince of Peace.” Jesus was born of Yahweh, sky-god of the Hebrews, and a “mortal woman,” Mary. In Greek, the name for Jesus– Iesous –is very similar to the name Zeus. When Emperor Constantine decided to make Christianity the official state religion of the Roman Empire back in the 300’s A.D., the people didn’t want to give up Zeus and other pagan gods. Constantine couldn’t bear to tear down the famous statues of Zeus in the Temples in Rome and Athens. So he instructed his new Christian priests to simply rename them as Jesus. All statues of Zeus were turned into Jesus! Early images of what Jesus looked like were heavily influenced by the traditional bearded appearance of Zeus. same God? Read the following and see what you think…. The god Mithras (or Mithra) was a major influence on Christianity until the fourth century C.E. In this version of his story, by Barbara Walker, the parallels between the two cults are emphasized. Christians copied many details of the Mithraic mystery-religion, explaining the resemblance later with their favorite argument, that the devil had anticipated the true faith by imitating it before Christ’s birth. Some resemblances between Christianity and Mithraism were so close that even St. Augustine declared the priests of Mithra worshipped the same deity as he did. Mithra was born on December 25th, called “Birthday of the Unconquered Sun,” which was finally taken over by Christians in the 4th century A.D. as the birthday of Christ. Some said Mithra sprang from an incestuous union between the sun god and his own mother, just as Jesus, who was God, was born of the Mother of God. Some claimed Mithra’s mother was a mortal virgin. Others said Mithra had no mother, but was miraculously born of a female Rock, the petra genetrix, fertilized by the Heavenly Father’s phallic lightning. Mithra’s birth was witnessed by shepherds and by Magi who brought gifts to his sacred birth-cave of the Rock. Mithra performed the usual assortment of miracles: raising the dead, healing the sick, making the blind see and the lame walk, casting out devils. As a Peter, son of the petra (rock), he carried the keys of the kingdom of heaven. His triumph and ascension to heaven were celebrated at the spring equinox (Easter), when the sun rises toward its apogee. 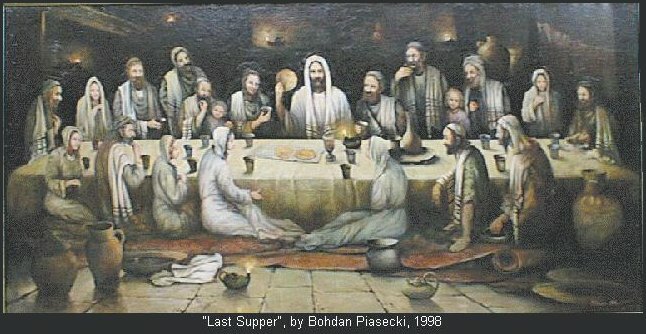 Before returning to heaven, Mithra celebrated a Last Supper with his twelve disciples, who represented the 12 signs of the zodiac. In memory of this, his worshippers partook of a sacramental meal of bread marked with a cross. This was one of seven Mithraic sacraments, the models for the Christians’ 7 sacraments. It was called mizd, Latin missa, English mass. Mithra’s image was buried in a rock tomb, the same sacred cave that represented his Mother’s womb. He was withdrawn from it and said to live again. Like early Christianity, Mithraism was an ascetic, anti-female religion. Its priesthood consisted of celibate men only. Women were forbidden to enter Mithraic temples. The women of Mithraic families had nothing to do with the men’s cult, but attended services of the Great Mother in their own temples of Isis, Diana, or Juno. (One of which was usually always beside a Mithraic temple). To eliminate the female principle from their creation myth, Mithraists replaced the Mother of All Living in the primal garden of paradise (Pairidaeza) with the bull named Sole-Created. Instead of Eve, this bull was the partner of the first man. All creatures were born from the bull’s blood. Yet the bull’s birth-giving was oddly female-imitative. The animal was castrated and sacrificed, and its blood was delivered to the moon for magical fructification, the moon being the source of women’s magic lunar “blood of life” that produced real children on earth. Persians have been called the Puritans of the heathen world. They developed Mithraism out of an earlier Aryan religion that was not so puritanical or so exclusively male-oriented. Mithra seems to have been the Indo-Iranian sun god Mitra, or Mitravaruna, one of the 12 zodiacal sons of the Infinity-goddess Aditi. Another of Aditi’s sons was Aryaman, eponymous ancestor of “Aryans,” whom the Persians transformed into Ahriman, the Great Serpent of Darkness, Mithra’s enemy. Early on, there seems to have been a feminine Mithra. Herodotus said the Persians used to have a sky-goddess Mitra, the same as Mylitta, Assyria’s Great Mother. Lydians combined Mithra with his archaic spouse Anahita as an androgynous Mithra-Anahita, identified with Sabazius-Anaitis, the Serpent and Dove of Anatolian mystery cults. Anahita was the Mother of Waters, traditional spouse of the solar god whom she bore, loved, and swallowed up. She was identified with the Anatolian Great Goddess Ma. Mithra was naturally coupled with her, as her opposite, a spirit of fire, light, and the sun. Her “element,” water, overwhelmed the world in the primordial flood, when one man built an ark and saved himself, together with his cattle, according to Mithraic myth. The story seems to have been based on the Hindu Flood of Manu, transmitted thru Persian and Babylonian scriptures to appear in a late, rather corrupt version in the Old Testament. What began in water would end in fire, according to Mithraic eschatology. The great battle between the forces of light and darkness in the Last Days would destroy the earth with its upheavals and burnings. Virtuous ones who followed the teachings of the Mithraic priesthood would join the spirits of light and be saved. Sinful ones who followed other teachings would be cast into hell with Ahriman and the fallen angels. The Christian notion of salvation was almost wholly a product of this Persian eschatology, adopted by Semitic eremites and sun-cultists called Essenes, and by Roman military men who thought the rigid discipline and vivid battle-imagery of Mithraism appropriate for warriors. Under emperors like Julian and Commodus, Mithra became the supreme patron of Roman armies. After extensive contact with Mithraism, Christians also began to describe themselves as soldiers for Christ; to call their savior Light of the World, Helios the Rising Sun, and Sun of Righteousness; to celebrate their feasts on Sun-day rather than the Jewish Sabbath; to claim their savior’s death was marked by an eclipse of the sun; and to adopt the seven Mithraic sacraments. Like Mithraists, Christians practiced baptism to ascend after death thru the planetary spheres to the highest heaven, while the wicked (unbaptized) would be dragged down to darkness. Mithra’s cave-temple on Vatican Hill was seized by Christians in 376 A.D. Christian bishops of Rome pre-empted even the Mithraic high priest’s title of Pater Patrum, which became Papa, or Pope. Mithraism entered into many doctrines of Manichean Christianity and continued to influence its old rival for over a thousand years. The Mithraic festival of Epiphany, marking the arrival of sun-priests or Magi at the Savior’s birthplace, was adopted by the Christian church only as late as 813 A.D. In Gnostic texts, there is mention of Yeshua/Jesus being married to Mary Magdalene, and a record of their children. Supposedly Yeshua (through Joseph, who may have been his actual birth father, but probably not) or Mary came from the royal lineage of David, which had been ousted by foreign invaders (Greeks, Romans). The Romans gave the Jewish throne to the Family of Herod. Much of what Yeshua ha Maschiach did may have been an attempt to restore the true family lineage to power in Judaism, as well as correcting the abominations to the spirit of the Law handed down by God to Moses. According to a wealth of popular tradition and veiled secrets, and writings called the Golden Legend, these children of Yeshua and Mary most likely travelled with her to France after Yeshua’s resurrection, where later Mary died (or transcended). The Merovingian kings of France were said to descend from this little holy family, and indeed they believed they were of Yeshua’s bloodline. Merovingian means “of Mary’s vine” meaning they were descended from Mary Magdalene’s blood line. They also knew they were connected to King David and ironically many had red-hair, something King David is said to have. The word Desposyni (“relatives of the Lord”) is found in writings of the early primitive Christian Church, indicating he had flesh and blood descendants and they were known. Do a search on the word Desposyni and see what you come up with–a few interesting websites out there. The Merovingian kings and queens also refused to cut their hair–especially the men–which is a mark of the Nazarites and perhaps a family tradition / prohibition passed down from the original nuclear family consisting of Yeshua the Nazarite, Mary Magdalene and their children. Either way, the children of David (children of the Blade and Chalice) may have decendants in today’s world, and you might be among them.